Wedding ceremonies are fun, special, beautiful and…hectic! So, what’s a better way than to create your own WordPress wedding website? Whether you’re a wedding planner or planning to tie the knot, having a WordPress wedding website helps you manage all those tedious little details of a wedding event. 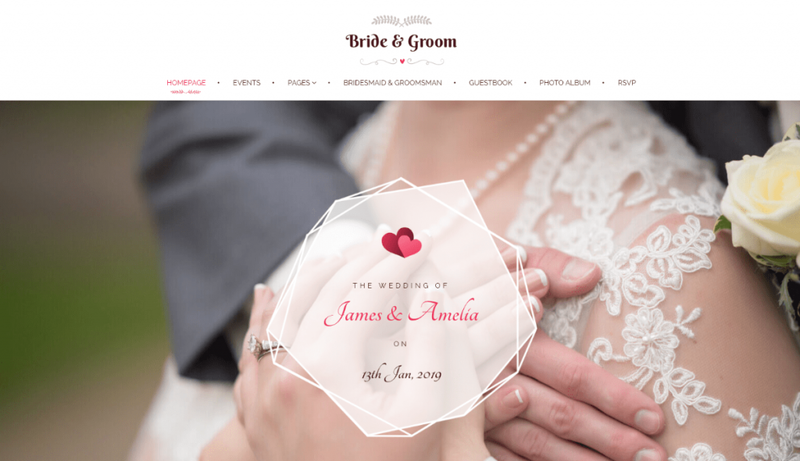 Why create a wedding website with WordPress? There are many advantages to creating your wedding website with WordPress. It enables you to have complete authority to the wedding website you’re building. Personalizing websites using third party developers can be quite expensive. Communicating your aspirations for your wedding website can often become challenging too. So what better way to create your own WordPress wedding website? WordPress comes with a huge selection of WordPress wedding themes. Keeping your needs in mind you can pick the most perfect WordPress wedding theme for yourself. These themes are catered to give you all you need in a complete wedding website. They also guide you impeccably on what to keep and how to present it. There are many plugins to provide you with all the functionality you need for your dream wedding website. The biggest perk to creating a WordPress wedding website is time management. Depending on the theme you’re using, you can automate a lot of duties and spare a lot of time. 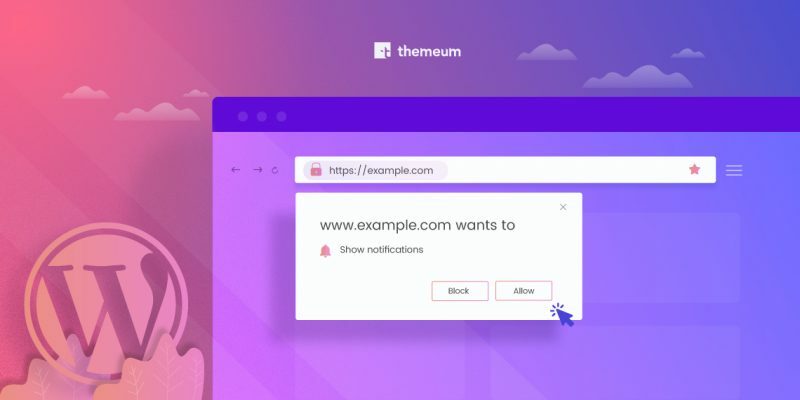 With a wedding website in action, you can connect to all the guests directly from the site. So now that you know why creating a wedding website with WordPress is the way to go, let’s know the how. The first step to creating any website is to select the perfect website host. There are plenty of hosts for WordPress that you can get. If you want your WordPress wedding website running on a limited time then you can choose a pricing plan that works best for you. One time payment usually comes with a hefty discount. Once you’ve decided on your wedding website host, pick out a domain name to use with your hosting account. Always try to keep your website names simple so that it’s easy for your guests to find. Now that your domain name and host are done, you can now install WordPress. There is usually the option to “One-Click Install” where you can easily set-up your WordPress. When you’re making your WordPress wedding website, the biggest advantage that you get is the availability of WordPress wedding themes. However, choosing the perfect theme can be confusing as well. You need to align the features of your theme with the aspects you need in your website. For example, here we’re creating a WordPress wedding website using the sensational Bride & Groom wedding theme. The reason why this is a great option for your WordPress wedding website is not only the beautiful and elegant designs but also it’s long list of features. 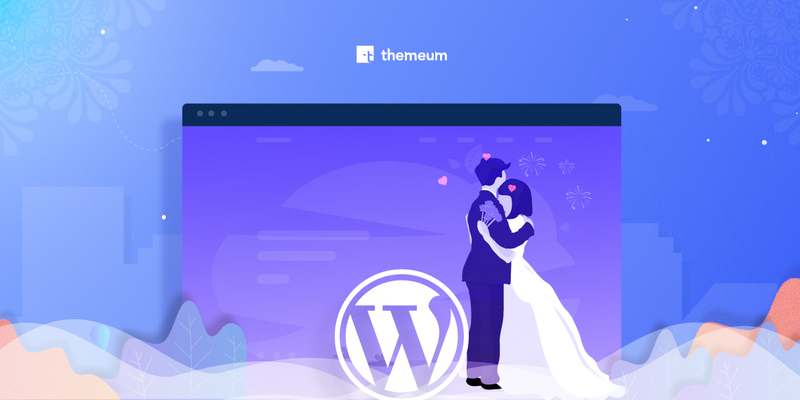 If you’re confused on what features to look for in a WordPress wedding theme, here are a few features that makes Bride & Groom a treat for your WordPress wedding website. The amazing features of this theme allows you to give so many options to your visitors that you can create professional WordPress wedding websites right from your home! After you’ve chosen your WordPress wedding theme, now it’s time to install it. Luckily, this is one of the easiest step to in the whole WordPress wedding website building process. Firstly you’ve to buy your WordPress wedding theme. 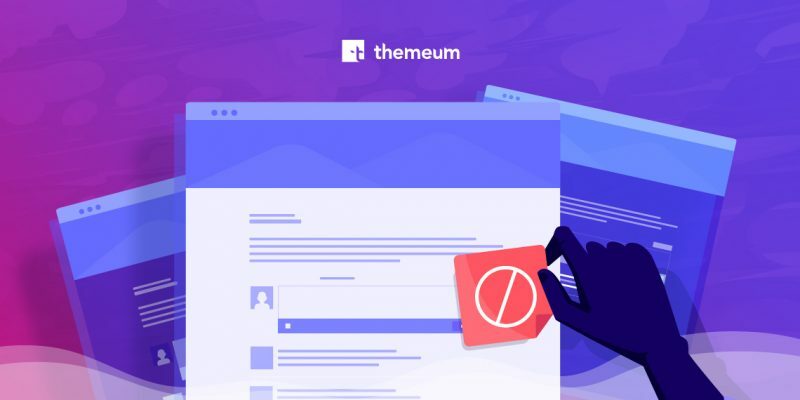 When you buy the Bride & Groom theme from the Themeum website, all you’ve got to do is go to your dashboard and download the zip file and copy your license key. Then you can go to your dashboard. Go to Appearance>Themes> Add New and upload the theme that you want to use. The Bride & Groom theme comes with “One Click Demo Install” so that you can quickly set up your theme and observe exactly how the demo contents appear in the WordPress wedding website. Get the detailed information from the Bride & Groom documentation. When creating a WordPress wedding website: Plan, plan and plan some more! 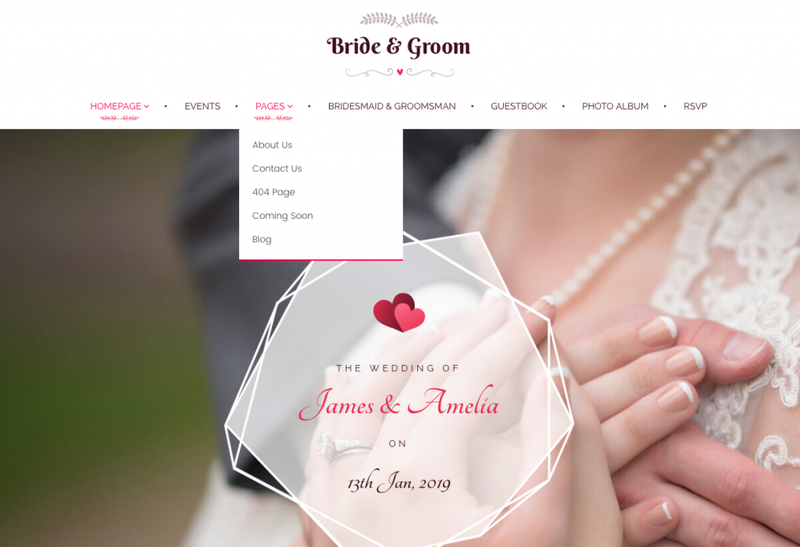 Your WordPress wedding website pages need to be planned with details and purpose so that your visitors know exactly where to look, you know which information to place in a page and you can even create a complete wedding management website. The Bride & Groom comes with many purpose-oriented built-in pages. Each of these pages are crafted with functionality in mind and beautiful design. The following pages are already included in the WordPress wedding theme. 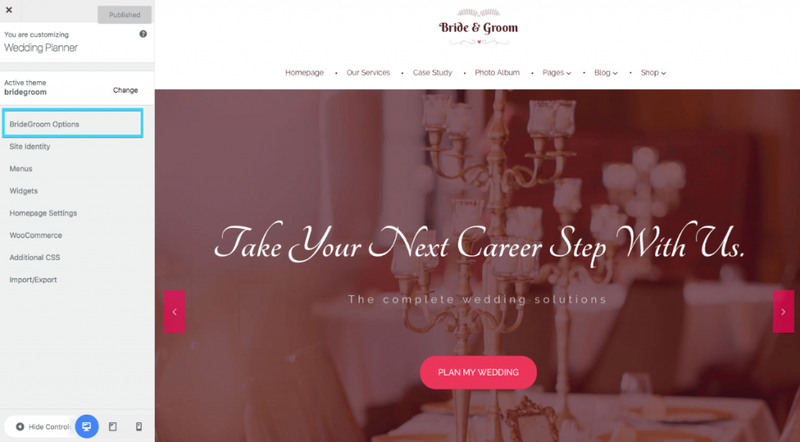 No matter what kind of design aspirations you want for your WordPress wedding website- trendy, traditional, or any other style choice you can achieve so with the Bride & Groom WordPress wedding theme. Being a premium theme, you get a lot of design choices to make your website exactly how you dream it to be. One of the biggest perks of using the WordPress wedding theme Bride & Groom is that you get a lot of design flexibility. You can easily customize all the pages you create and show them exactly how you want them to appear. Change the layout and styling with just a few clicks. If you’ve a custom logo, then you can add that here as well. 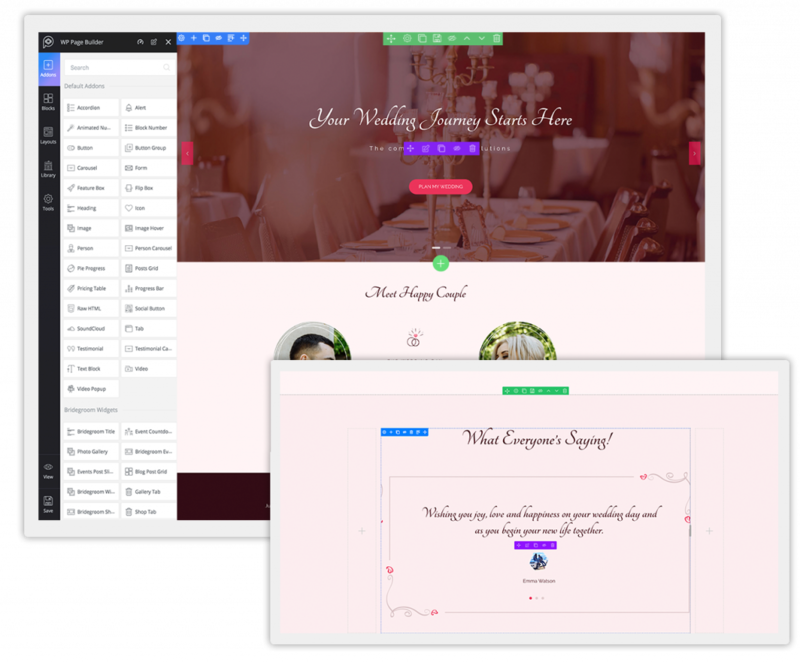 It would add a complete personal touch to your WordPress wedding website. You can change the typography settings from the huge styling options. Moreover, you can add all your social media info with the Bride & Groom options. You can check out all the theme customization option details right here. To have great navigation throughout your website, this theme comes with mega menus that are powered by WP Mega Menu. The menus in your website are guidemaps to your visitors. When you add engaging menus to your WordPress wedding website, you can attract people more. Include media, video, post sliders and so much more right in your mega menu. 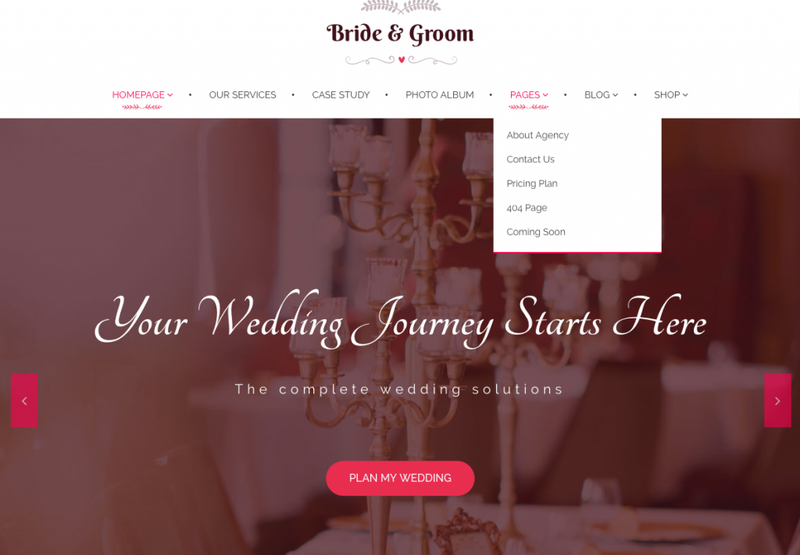 Our journey of creating a WordPress wedding website is almost at the end. So the final step is to add some awesome functionality to the WordPress wedding site that you’re creating. 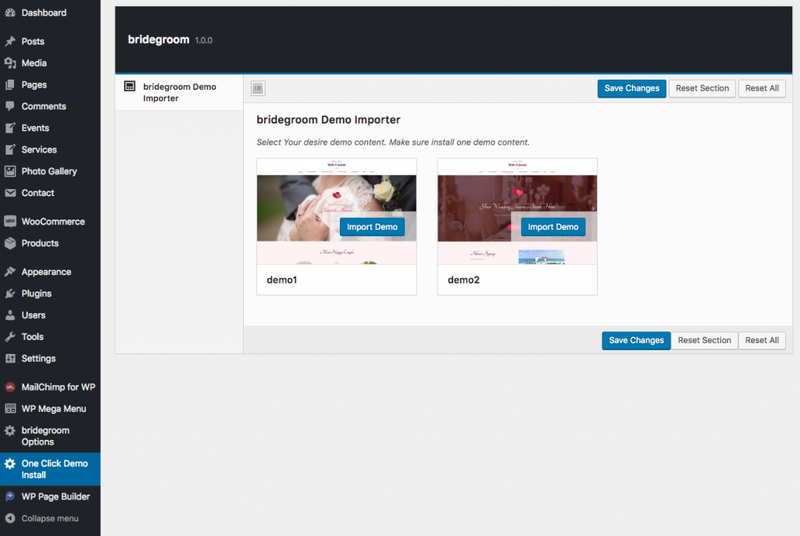 The Bride & Groom theme comes with the drag & drop WP Page Builder plugin. 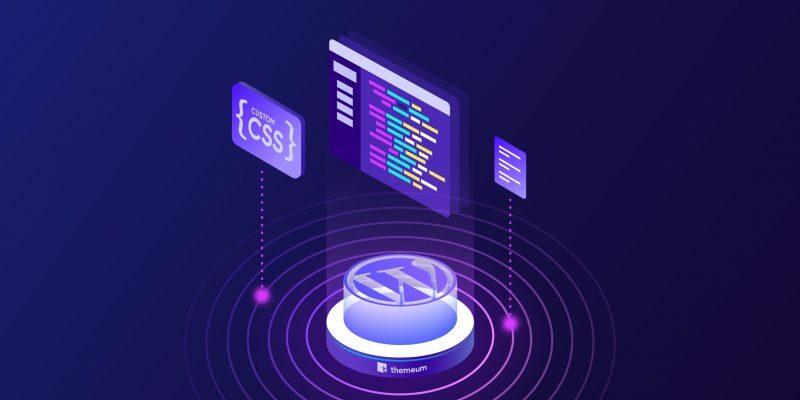 Not only does this plugin help you to make customizations without being a coder, it comes with 30+ addons and numerous predesigned blocks that improve your functionality so much. Integrate Google maps in your WordPress wedding website easily with the Google Map addon. You can easily add your venue location and guests would find your events easily. Bridegroom event slider addon allows you to display all the event in a boxed slider. There’s also the gallery tab addon to upload albums easily and you can even filter albums. The service tabs addon is meant for wedding planners who want to display all the wedding services easily. Another awesome part is the shop addon for all the products that you want to feature in your WordPress wedding website. Since Bride & Groom is a WooCommerce ready WordPress wedding theme, you can easily boost your sales of your wedding shop. It is YOUR dream website, so you have complete control over all the options you want in it. Having WP Page Builder literally simplifies all your tasks and you can have your WordPress wedding website up and running in a jiffy. Creating a WordPress wedding website can seem a little demanding and too much effort. However, with the perfect WordPress wedding theme, you can get a beautiful website ready with just a few guidelines. WordPress is the easiest solution when creating any website. Having a WordPress wedding website for your big day or your dream agency increases your efficiency so much more. You can automate tasks and connect with guests and visitors superfast and all at once in your WordPress wedding website. Preserve all the memories of your big day in the most personal website that you create. Tie the knot with the perfect WordPress wedding theme with Bride & Groom! Have you ever tried creating a WordPress wedding website? What features do you look for in your WordPress wedding theme? Share your thoughts and experience with us in the comments below!